So I am showing my happiness lately by wearing and supporting the Delivering Happiness Collection! The Delivering Happiness Collection, found exclusively at Zappos.com, is part of a global movement to inspire and nudge the world to a happier place. The collection is designed to share good vibes and spark conversation with chic, yet comfortable fashion pieces adorned with positivity. The collection is made of high quality, high comfy clothing that lets you wear and spread happiness in any setting — day in or night out. I absolutely fell in love with not only the mission of Delivering Happiness Collection but how cute and comfortable the clothing is - for both men AND women! My favorites are the Delivering Happiness 3-Button Leggings! I was in need of new leggings because my old ones were maternity leggings and are now TOO big! These 3-button leggings are perfectly comfortable and so cute with the 3 buttons on the side! In fact, I have never worn a more comfortable pair of leggings - they cut in at the wait to push love handles out and they allow me to be active and cute at the same time! My husband also gets to spread happiness at work as he wears the Delivering Happiness Seriously Fun Polo! 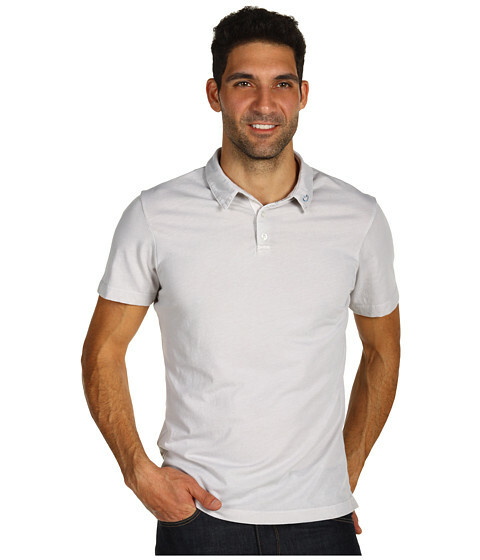 This polo is so comfortable and has a fun winky" design embroidered on the collar! It is ideal for both work and play and your man won't want to stop sharing happiness or wearing this shirt because of its comfort! So have you chosen to be happy today??? Don't forget to be happy and spread happiness by wearing the Delivering Happiness collection!